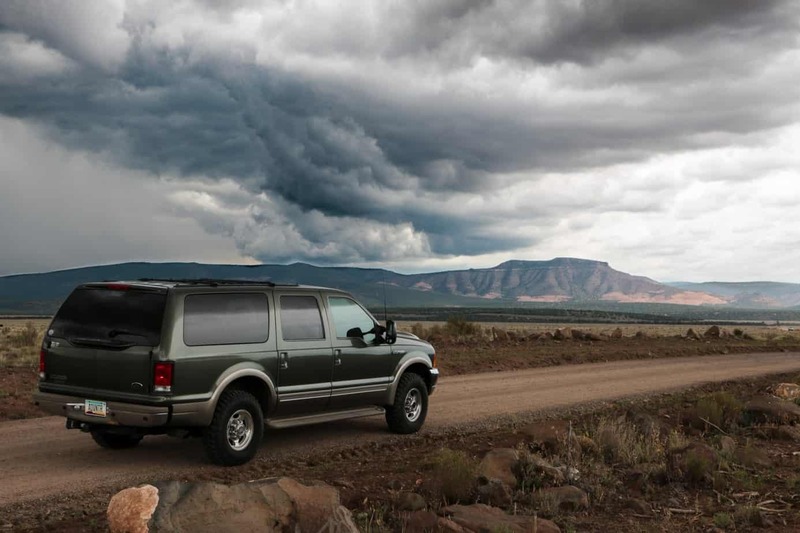 What is the ultimate overland vehicle? Plenty of people have voiced their opinions, but from Defenders to Jeeps their responses couldn’t be more diverse. Out of everyone I’d say Jonathan Hanson was the closest when he wrote “The best overlanding vehicle is the one you already have”, but it still left something to be desired. 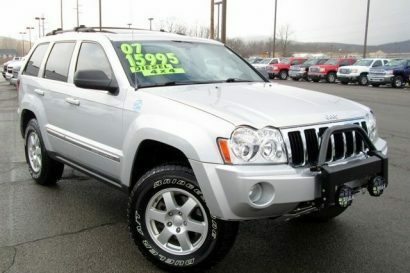 In my opinion the ultimate overland vehicle isn’t always what you own now, but whatever fits your needs best. For some it really could be that iconic foreign four-wheel drive, but for many families in North America a domestic full size is probably a better fit. I know, it’s heresy to suggest that the lumbering SUV in your driveway might be your perfect choice, but it’s true. 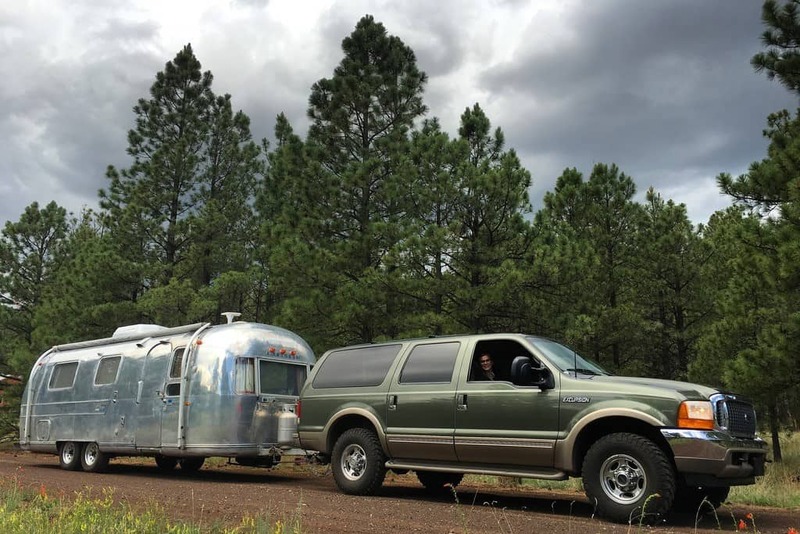 They tow well, are relatively affordable, have plenty of space, are comfortable for long trips, and have a wide support base with readily available parts. 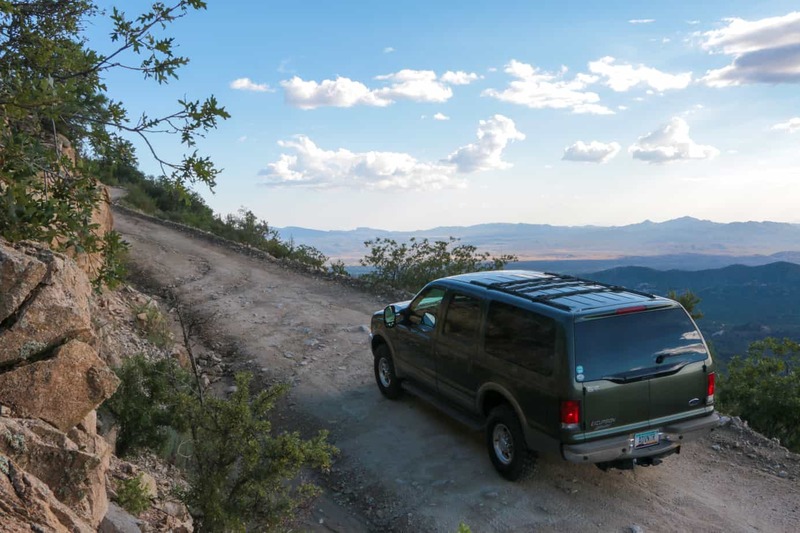 With all these factors in their favor, and a rapidly expiring lease on my Toyota, I decided that it was time ExPo went full size with one of the largest SUV’s ever produced; the Ford Excursion. 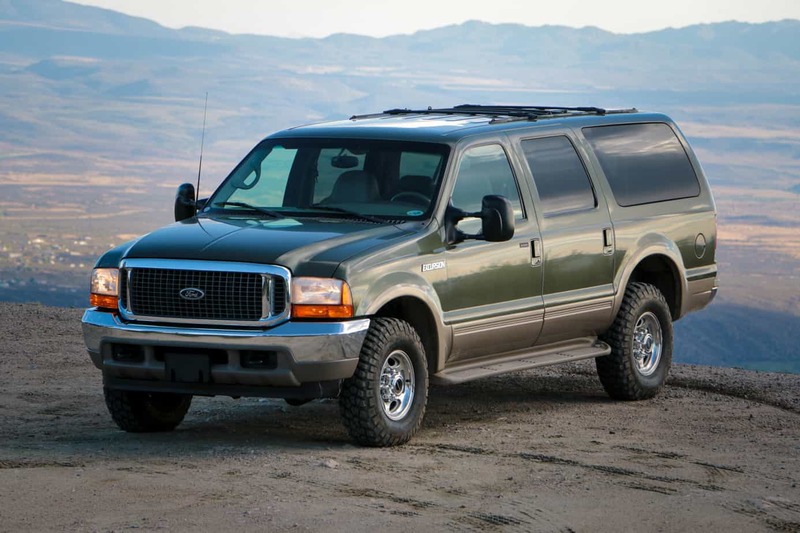 The Excursion was released in 1999 as a direct competitor to the Chevrolet Suburban, the segments reigning platform since the mid 1930s. 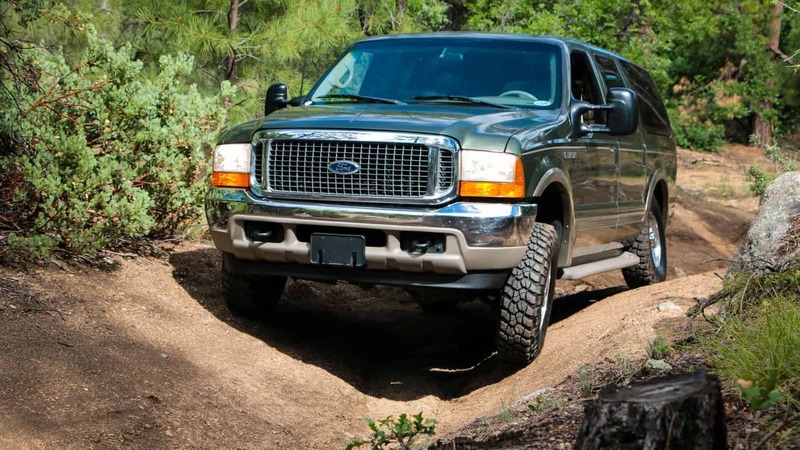 At the time gas prices were low, SUV sales were continuously rising, and it seemed that bigger was indeed better to new car buyers, so Ford went huge and based the new concept on their existing F-250. Many niceties were added of course including additional sound deadening, longer passenger doors for more leg room, and a softer spring package for ride comfort, but underneath all the fluff is the soul of a work truck. 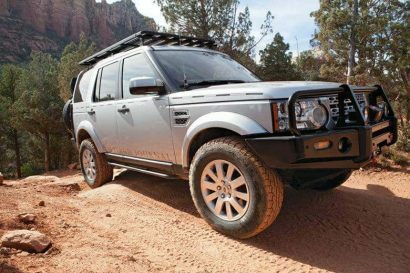 The final product was well polished and looked as ready for soccer practice as any SUV, but its lineage gave it a few options that are relatively special in North America, and downright coveted by overlanders. 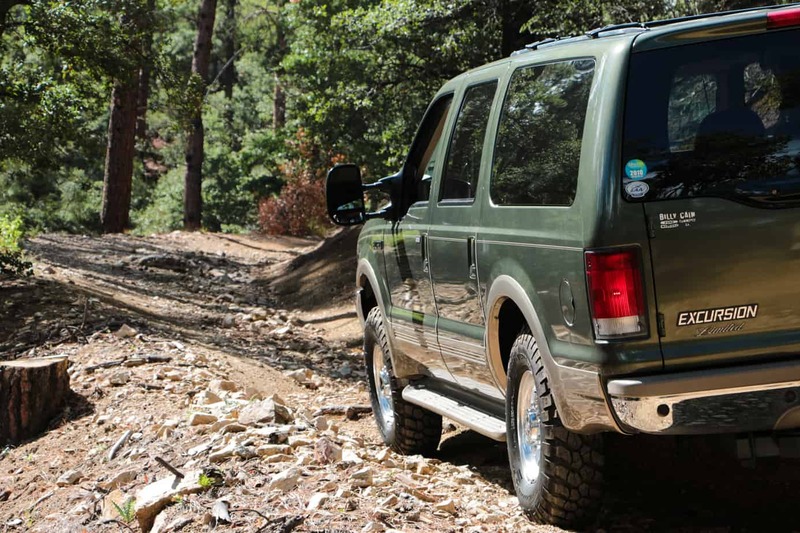 For starters, the Excursion utilized solid axles unlike nearly all SUVs produced at the time. 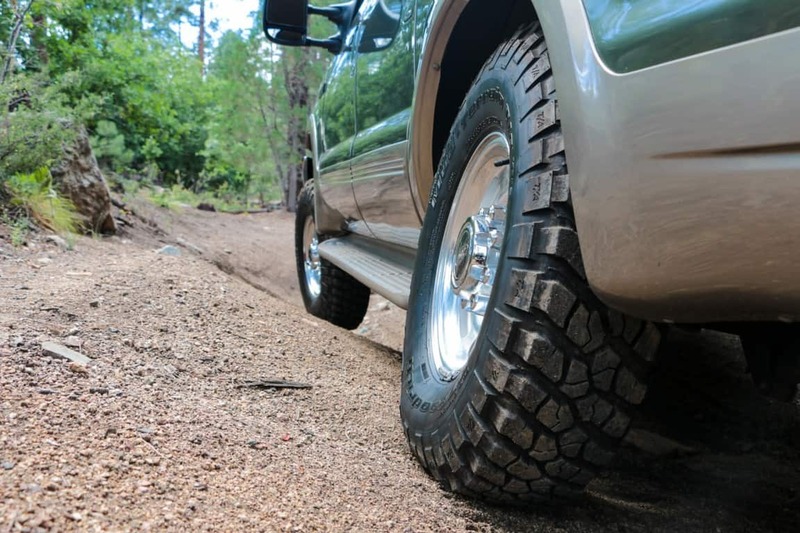 Models like ours feature a Dana 50 up front, a Sterling 10.5 in the rear, and even an optional 3.73 gear set with a limited slip differential. 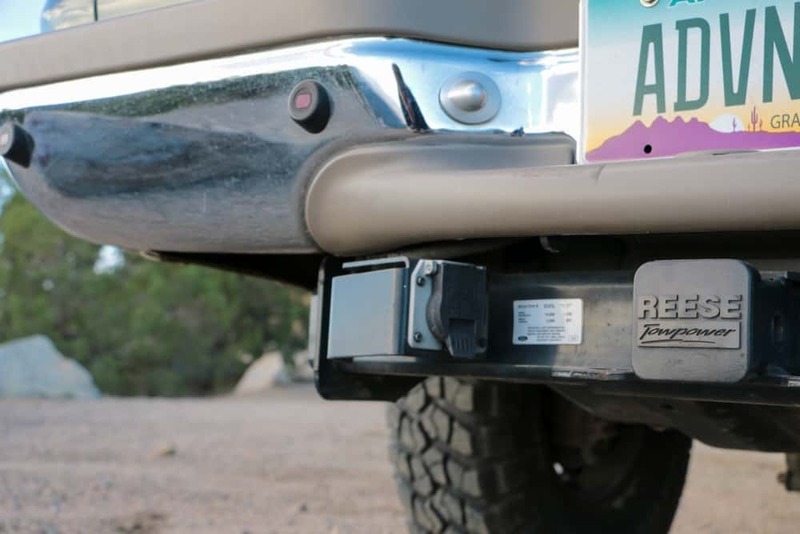 This not only makes it great for towing, but improves off-road performance and allows for the fitting of larger tires. Front and rear recovery points came standard, as did a 7-pin towing system. 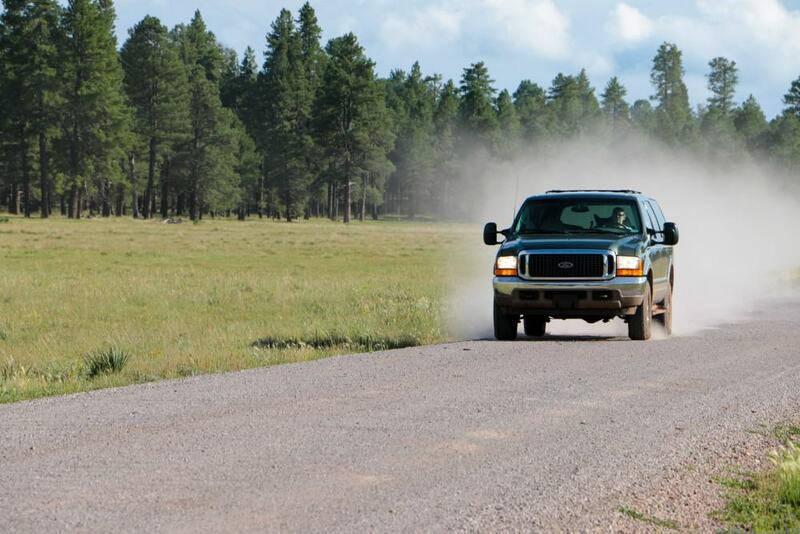 The big separating factor however was the optional diesel motor, an unheard of feature in new American SUVs. 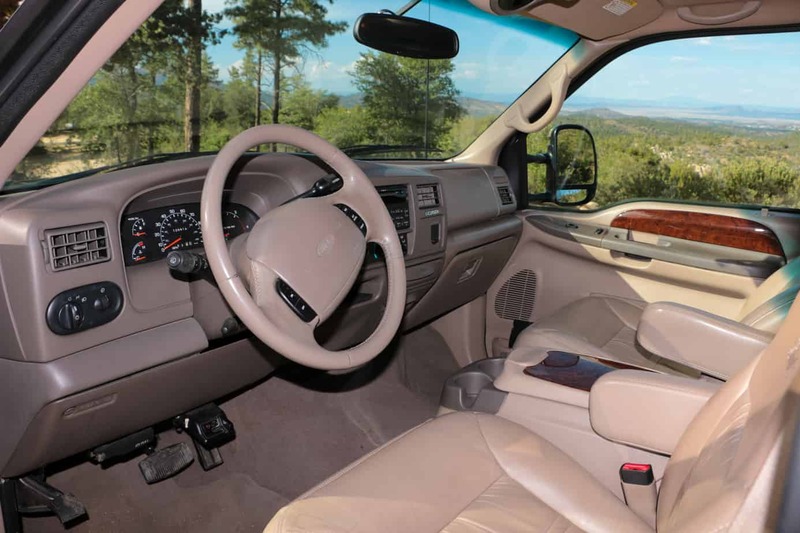 Although the later 6.0 proved to be problematic, Navistar International’s legendary 7.3L turbo diesel graced the Excursion up until 2003. 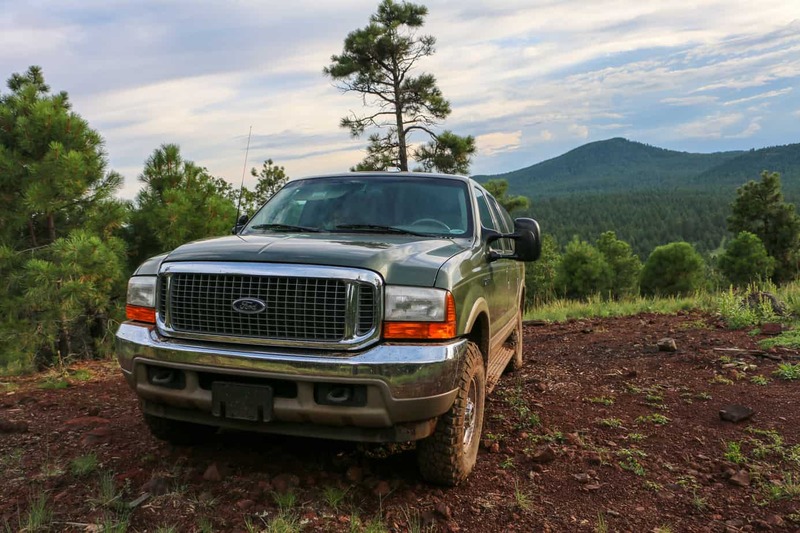 This engine has proven to be one of the most reliable motors ever used by Ford, but it didn’t give up any power or efficiency to get there. 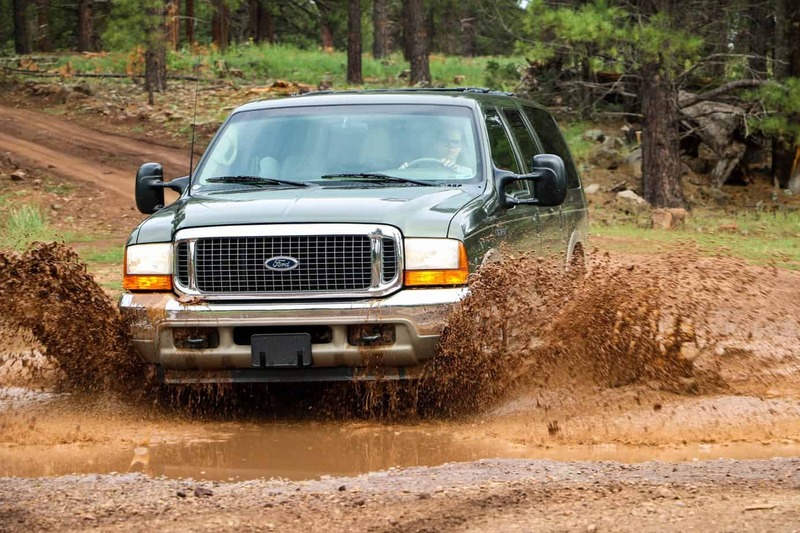 With an output of 250 horsepower at 2,600 rpm, and 525 lb-ft of torque at 1,600 rpm, the Excursion can churn its way over or through just about anything in its path. It is also surprisingly fuel efficient for its size. Our 7.3L returned just over 20 mpg on the 2000 mile drive home from Georgia, which when coupled with the stock 44 gallon fuel tank, gives it a range of nearly 900 miles. 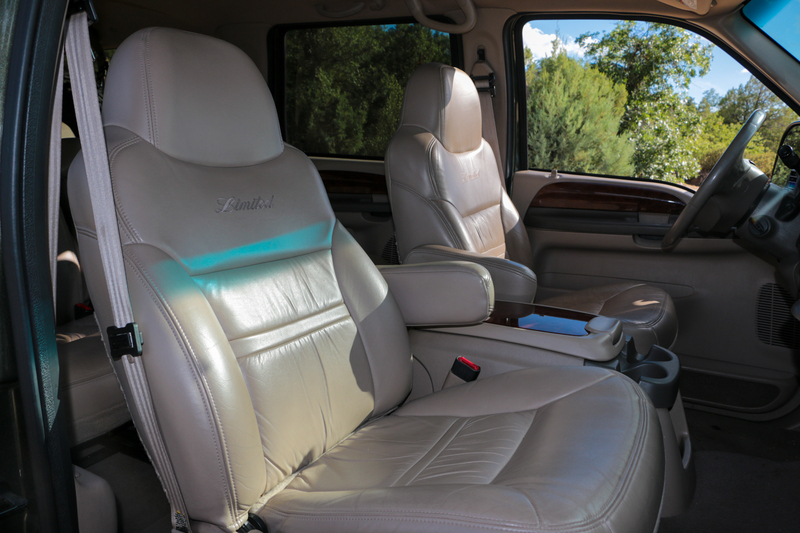 The interior in truth is nothing special, and shares many of the same features you would find in any 2000’s SUV. Large tan leather seats, plastic console and dashboard components, wood trim panels, a trendy rear A/C, and the finest audio system money can buy, a ford tape deck. Okay it has a CD player too. What is rather unique though is just how cavernous it all is. 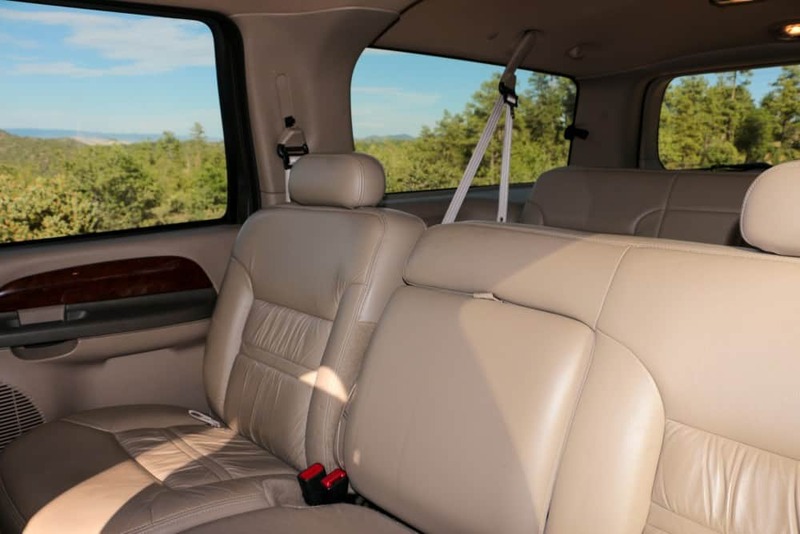 With the rear seats folded flat, I’m able to lay down comfortably, stretch out, and still have room for bags, a cooler, and our lantern past my feet. For most people a Tahoe would be more than enough for this, but at 6′ 4″ having any room leftover after I lay down is a miracle. So what will we do to this green behemoth? Surely it will be the latest in a long line of dedicated expedition campers right? Well… not exactly. 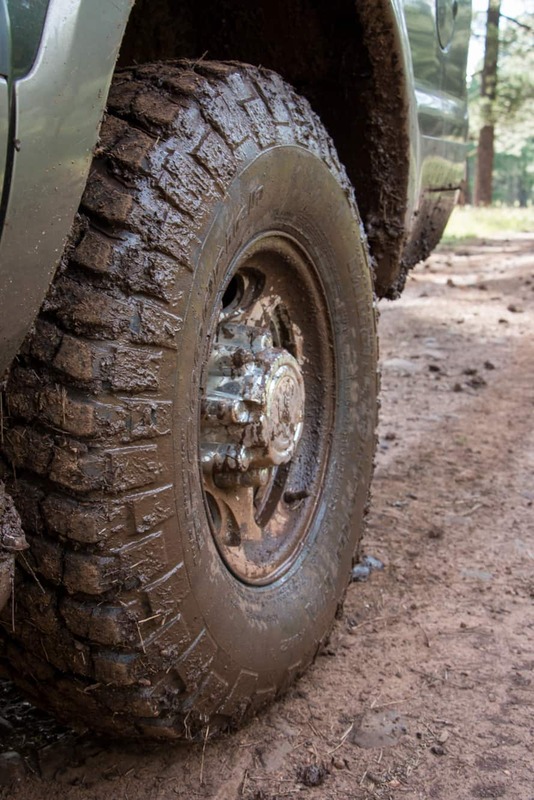 It’s always fun to read about purpose built vehicles, but for most people a four-wheel drive isn’t some specialist item bought solely to carry two people around the world. They’re a significant investment, and one that needs to be as versatile as the owners who drive them. 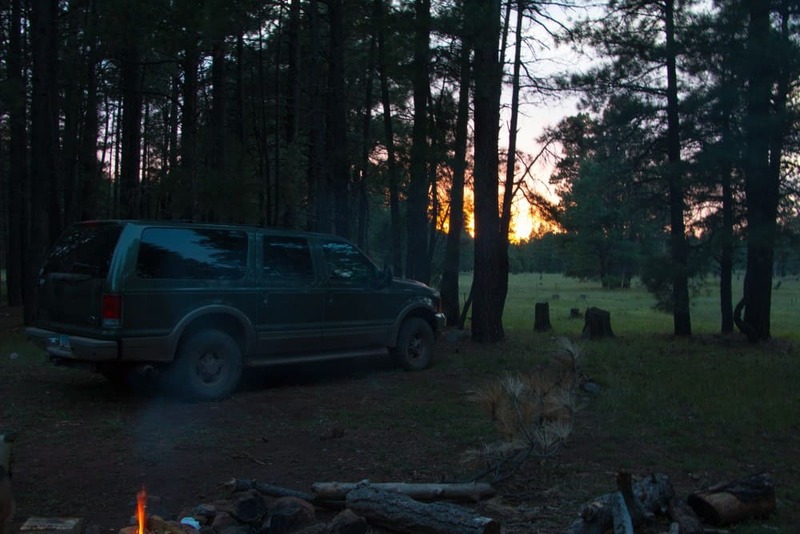 With that in mind the goal of this project will be to build a rather simple yet functional SUV which can be used for daily errands, people hauling, heavy towing, weekend camping, and yes even long term expeditions. 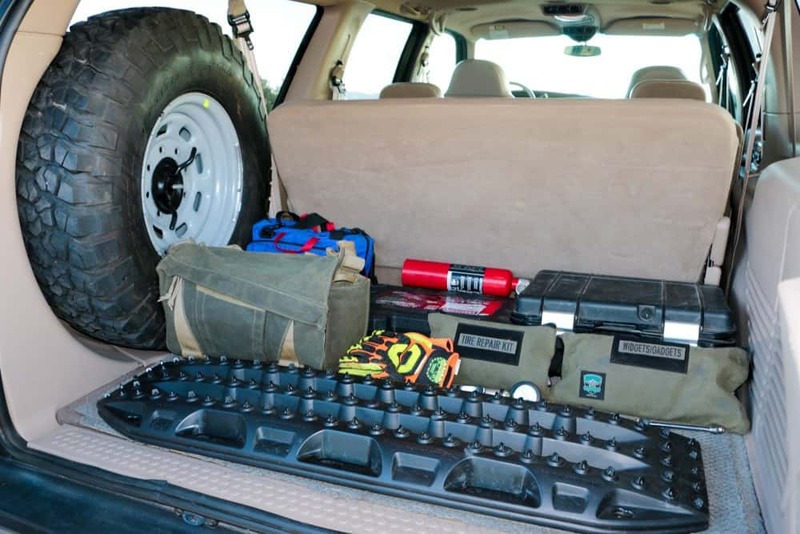 Layouts will be easily adjustable, and will accommodate anywhere from one to seven people and their gear on trips. 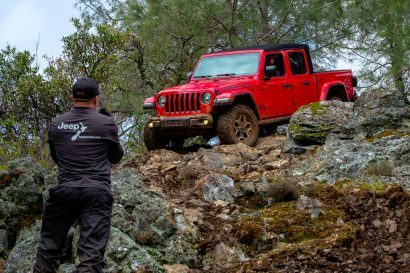 While the end result may not be fit to run the Rubicon, it will be perfect for taking on the rigors of both four-wheel drive touring, and everyday life. Although our truck is still stock, the build began a few months back with what is easily the most important step after purchase, testing. I find it all too tempting to want to start modifying a four-wheel drive right away, but before you begin turning out your pockets it is critical to use your vehicle thoroughly in its stock form. 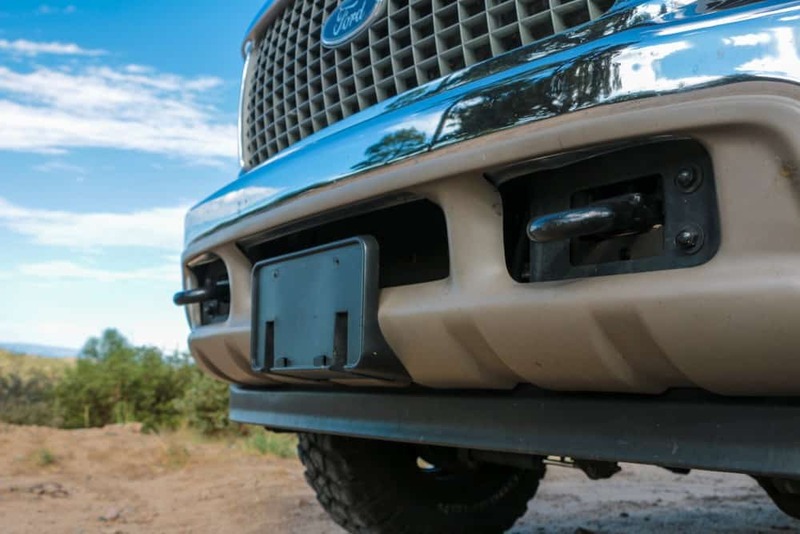 This process of daily driving, trail evaluation, and camp use helps to identify a trucks strengths and weaknesses, while simultaneously establishing a baseline for how it should drive and operate. It may quickly become clear that your original plans are either unnecessary for your intended use, or inadequate based on various shortcomings. 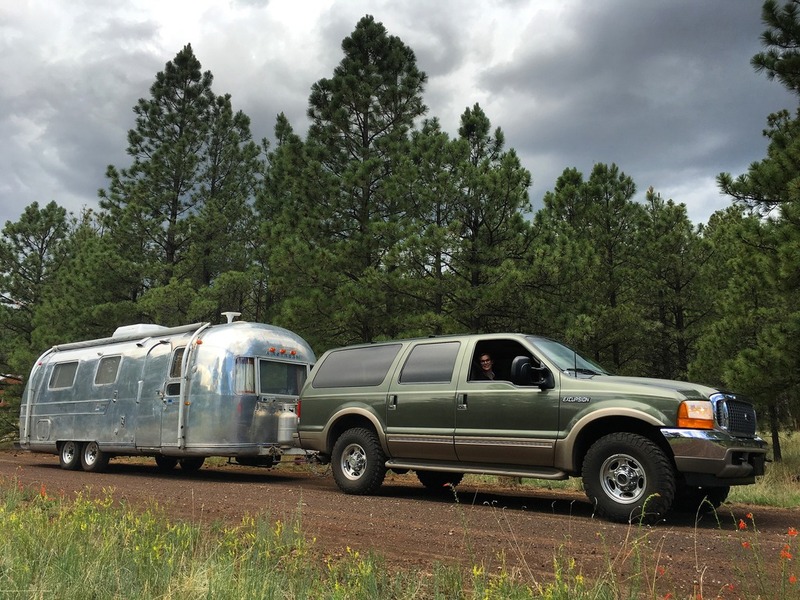 For this reason we drove nearly 4000 miles on pavement, towed an Airstream through the mountains, and completed multiple trail runs including an 80 mile trip through Arizona’s back country. What we found was that this vehicle was surprisingly capable for its size, and we wouldn’t have to do much to make it a perfect fit for our needs. 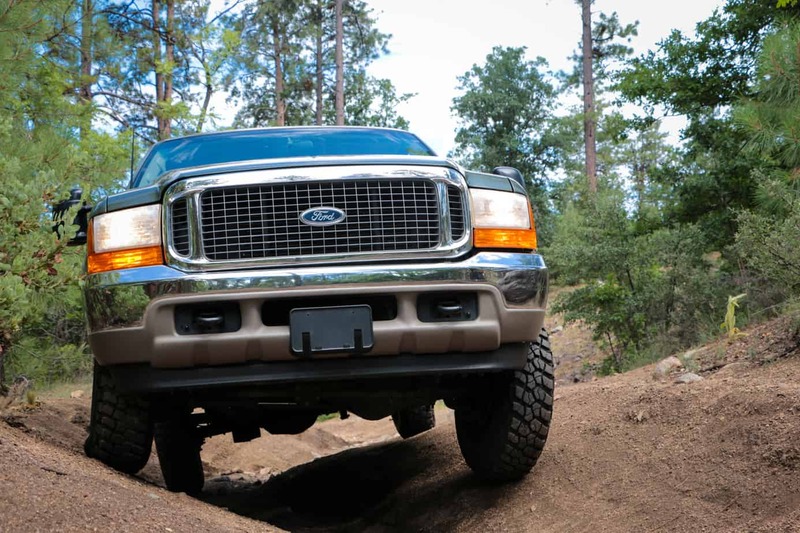 With the limited slip rear end and a set of 255/85 BFG KM2s, we found that the Excursion was able to conquer our cross-axle test course even at a full 65 PSI. 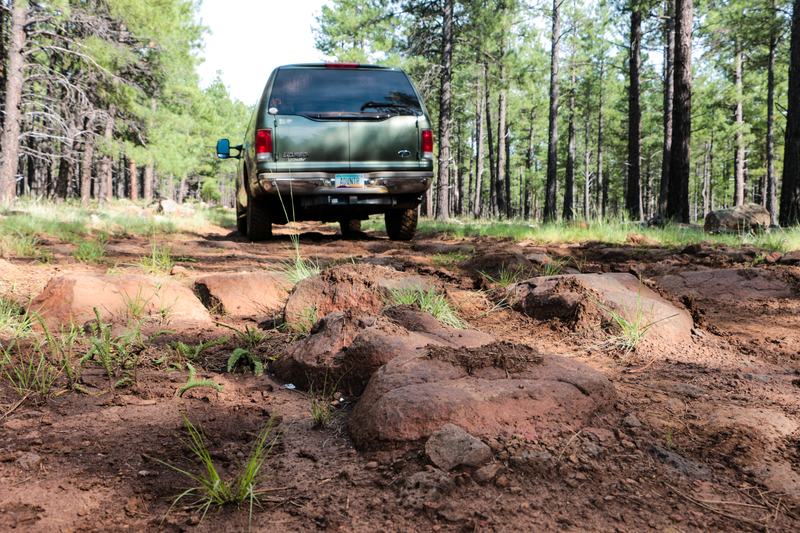 The obstacles covered in decomposed granite posed a challenge for the narrow tires though, and they tended to spin more often than we would have liked. 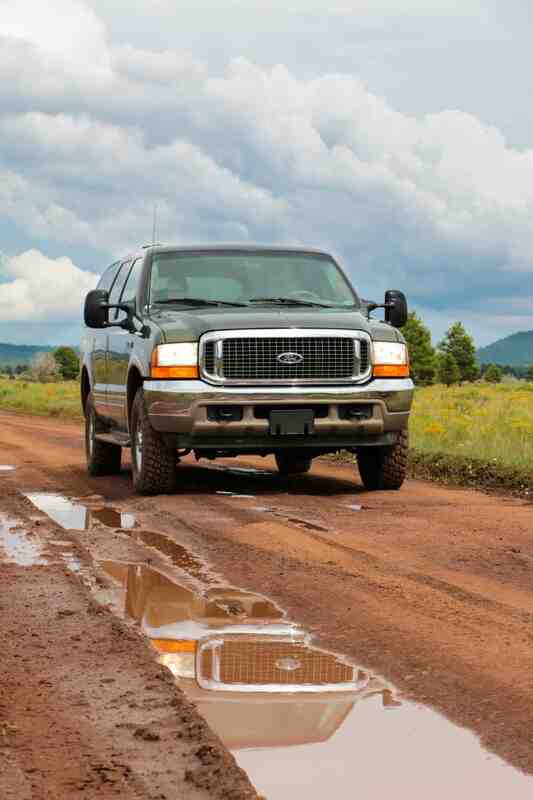 Reducing air pressure helped, but larger tires will certainly be in this trucks future. Clearance is obviously a concern for any full-size, and the sagging springs and worn out shocks on our truck did nothing to help that. Nor did they do a great job preventing the road from jarring the vehicle with every rock and bump along the way. Between handling, ride comfort, and trail performance, a change in suspension will be one of the most important upgrades on our list. 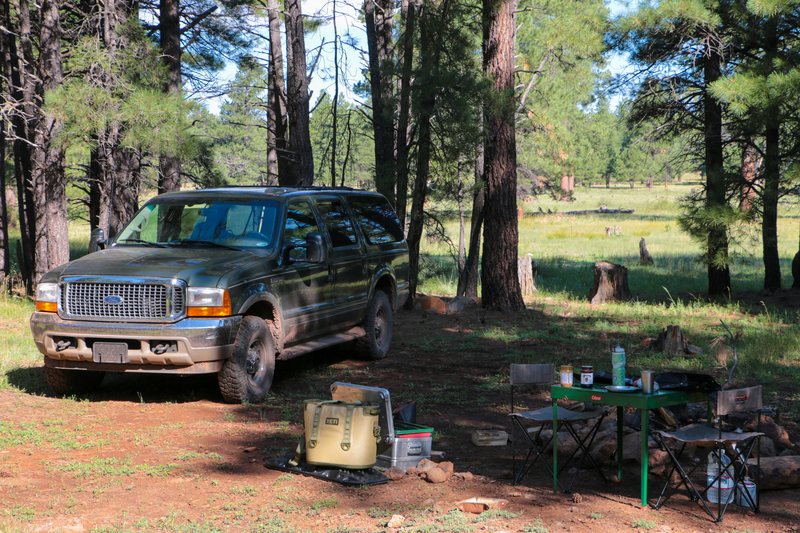 In terms of a camping setup, we felt the Excursion was ready to go from the factory. With seats that fold flat quickly, and enough room to lay down with your gear below your feet, the interior is perfect for sleeping two people comfortably. While it may not look as impressive as a roof top tent silhouetted in the sunset, this method of camping requires little to no investment, isolates you from bad weather and animals, and in many cases reduces setup and breakdown time to nearly nothing. 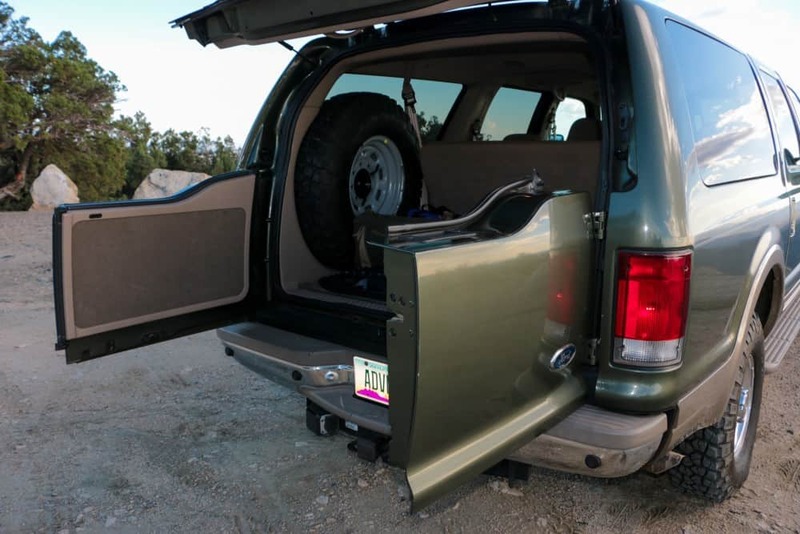 Over the years we’ve come to adore this style of build, and the Excursion has some of the best bones to start with. We will simply be improving the already functional setup with a solid cargo deck, new tie-down points, and of course some additional storage. At the end of the day full-size vehicles will never be the best choice for everyone, but it’s important to remember that they ARE a choice. 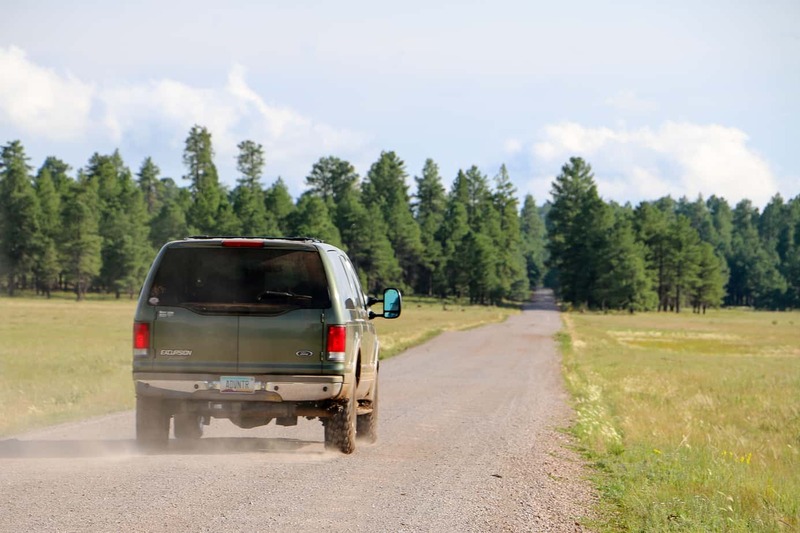 For over eighty years people have been exploring the world’s back roads in American made trucks and SUVs, and whether it was Wally Byam’s International Harvester that pulled an Airstream across Africa, the Turtle Expedition’s venerable Ford F-550, or simply your grandfather’s old Wagoneer, these domestic four-wheel drives have always been able to take us there and back again. My hope is that our Excursion project will remind people that you don’t need to own a built up Land Cruiser or a white Discovery to go overlanding. You can choose to travel comfortably in a million dollar Unimog or have the adventure of a lifetime in a beat up London taxi cab, as long as that vehicle works for you. 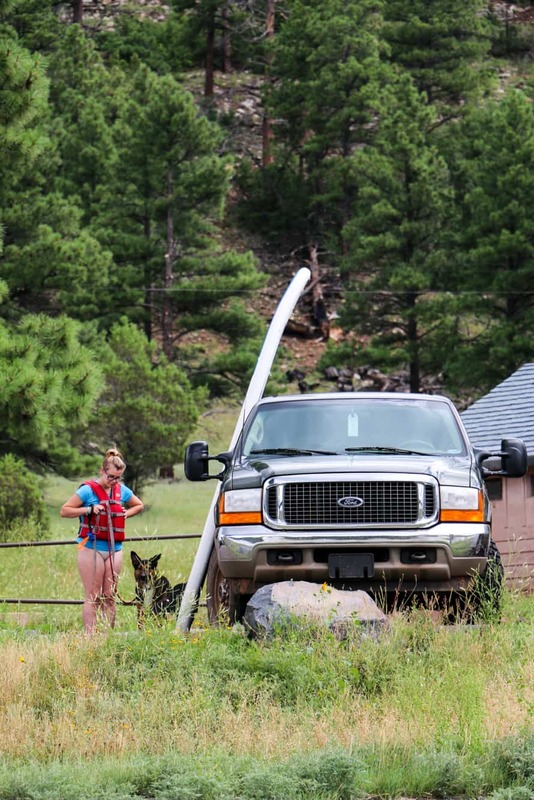 After all, overlanding should never be about what you drive or the brands of gear you use, but about enjoying the world around you, and finding your own style of adventures within it.